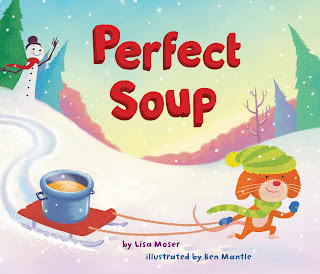 I'm very excited about the upcoming story time and book signing for Perfect Soup. Join me Saturday, November 20th at 10:30 a.m.
10976 N. Port Washington Rd. I'll be presenting and signing with my best friend, Sara Akin, who also has a wonderful book out called Three Scoops and a Fig. Children and adults will love it as we'll do a few craft activities, read some stories, and eat delicious gelato. Then take time to browse the beautiful Next Chapter Bookshop. It's an extraordinary book store and the people are absolutely, positively wonderful! Hope to see you on Sat., Nov. 20th! Wishing everyone happy friendships and warm soup!